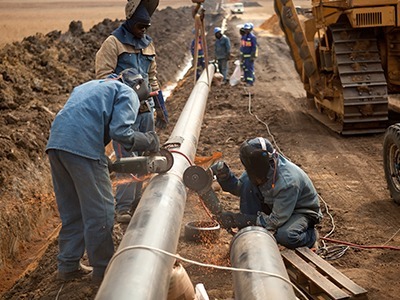 Mid-Ohio Pipeline Services has been constructing oil and natural gas pipelines for 40 years and has significant operations in transmission pipeline construction throughout the Marcellus and Utica Shale regions with many pipeline welding job openings. We are hiring experienced rig welders for mainline and fabrication welding for oil and natural gas pipeline welding jobs in the Midwest. We are currently hiring rig welders for mainline including firing line, back end, tie in and fabrication. All welds must pass visual and x-ray inspections. Welder’s helpers are also in need, with prior helper experience or a welding school degree as a minimum job requirement. Individuals with experience welding oil and natural gas pipeline are encouraged to apply online for our open welding jobs to join our amazing team as a valued team member today by clicking here!